Available on One Foot In The Grave and 1 other release. Nobody cares what I do! Nobody knows where to run! Don't give me the flu! Nobody knows why we puke! 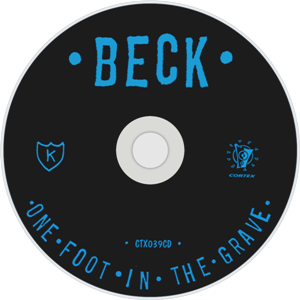 Calvin Johnson, when once asked about the One Foot in the Grave sessions, remembered that Beck wrote most of the songs on the spot. While most of Beck's folk songs hang around awhile, and have more thought in them than that he lets on, it was on punky songs like "Burnt Orange Peel" that Beck's improvising is on display. The song displays the lo-fi band's chemistry, clearly having a good time playing and creating this warped punk song. Live versions of "Burnt Orange Peel" popped up every so often throughout 1994. We only know of a few, but I'm assuming there were some more that were undocumented. One performance on June 29, 1994, was a loud and fast grunge-fest. This arrangement sounds more than a little bit like "Pink Noise." A fast intro led into the main song, where Beck shouted the words at the top of his lungs. It screeched to a halt after the third verse. On the Odelay tour, Beck played the song 5 times that we know about--all in a two-week span in April 1997. We have it down for one time in June 1998, as well, at a show in Toronto. Have not heard this or verified it. It doesn't seem to have been played any other time in 1998 though. Beck toured 2008 behind Modern Guilt, and in the spring of 2009 took the album tour to Japan to close out the album cycle. At one of those Japanese shows (March 19), Beck totally unexpectedly played "Burnt Orange Peel." (It was right before One Foot deluxe was released, I guess.) Beck says they hadn't played the song in 15 years (actually 8). That March 19 show had a bunch of cool obscurities (a few of the Modern Guilt b-sides, a Wire cover, even rarer things like "Missing"), so I guess it was just that sort of night. Anyway, this final version was fast and had 4 verses like the record (tho he seems to be making up whatever for the third, and repeats the 2nd as the 4th). It also had a slightly longer coda, ending the song a bit more formally than the album. This seems to be a song that Beck has enjoyed digging out of One Foot and playing live every so often. Will he again?